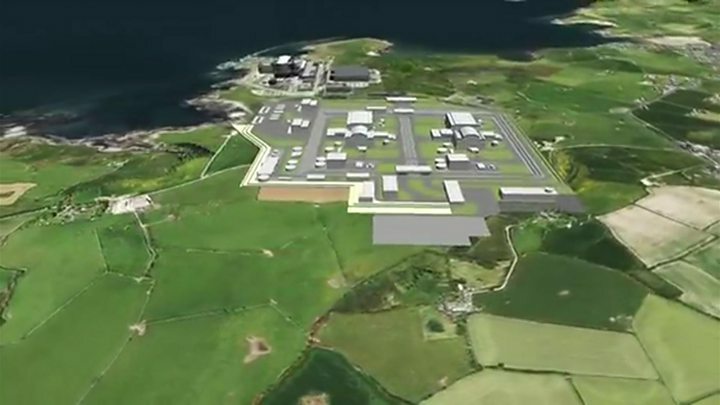 Plans to build a nuclear reactor on Anglesey could lead to an increase in homelessness, according to the island's housing services department. A report published this week said council officers fear increased demand for homes could push up private rents. It said there are not enough properties on the island to cope with the influx of workers required to construct the new plant. 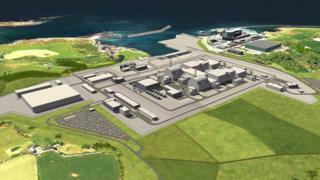 Horizon Nuclear Power is hoping to build a £12bn reactor at Wylfa Newydd. Arwel Jones, principal development officer at Isle of Anglesey County Council, said: "We do have Wylfa in the back of our minds because there's a possibility of an increase in homelessness, especially in the private sector where landlords may perhaps decide they can maximise the rent at the expense of people they already have as tenants. "I think there's a high risk to us as an island. There are high financial benefits from Wylfa, but this is the other side of the coin." The proposal needs to gain a development consent order before construction can start, but the first workers are expected on the site by 2020 if Horizon gains the necessary licences and funding. Employment at peak construction would be about 8,500 for approximately 12 months, with about 4,000 people working on site at any given time. But Horizon only expect 2,000 jobs will be local, meaning extra accommodation will be needed. Wendy Hughes, chief executive of Digartref Cyf, an Anglesey-based homelessness charity said: "One effect on demand for accommodation is that rents will rise. With thousands of contractors looking for accommodation, landlords will be in a position to demand and get more." A spokesman for the council said: "The impact of construction workers on the local housing market, availability and affordability will be fully evaluated." Horizon said it anticipated a "maximum" of 9,000 workers during the 12-18 month construction phase with at least 2,000 already living locally. A spokesman added: "Current estimates of available accommodation show there is sufficient capacity in the available market to cope with this extra demand."